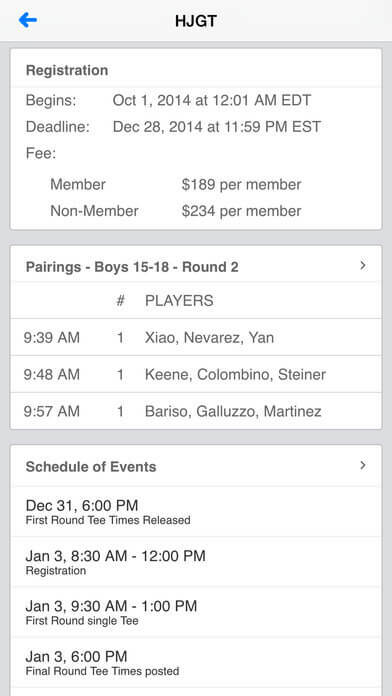 The HJGT has an App for that. A new free app for iPhone, Blackberry and Android. 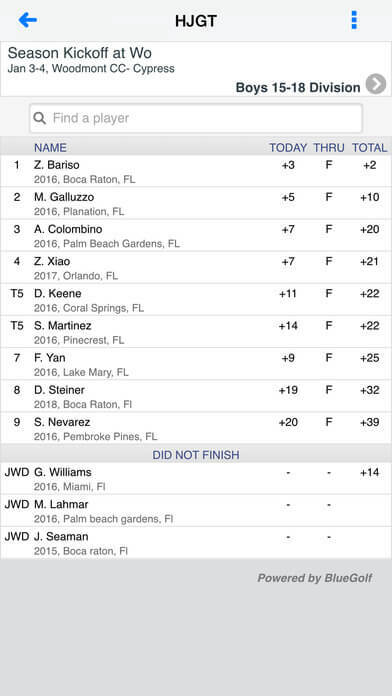 The HJGT app contains: Tournament Information, News, Tournament Leaderboards, Stats, Hole-by-Hole Scoring, Tee Times and much more. The application also offers a registration feature. This new app for the iPhone, Blackberry and Android features an easy to read calendar with all of the upcoming HJGT events that will make registering much easier for HJGT Members. It will also allow for quicker access to the most important tournament information such as up to the minute Leaderboards and stats featuring Hole-by-Hole scoring. 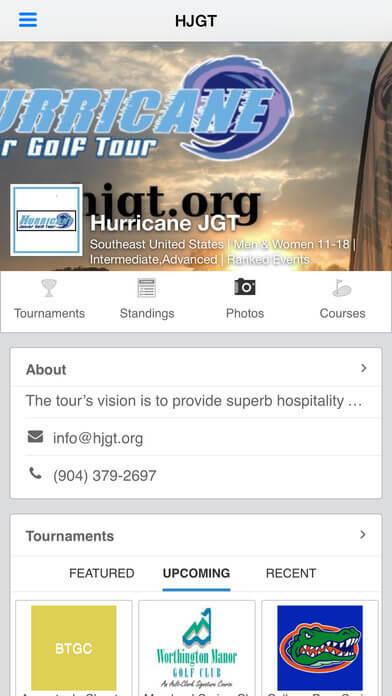 Search “Hurricane Junior Golf Tour" or "HJGT" in the APP store.